All RTG Individual First-Aid Kits or IFAK’s come sealed in sterilized bags. This gives you the option to keep it sealed and store it in a location until you need it. It also allows you to remove the contents to pack your own bag or pouch according to your needs. The SWAT-T is a latex-free, multipurpose device that can be used as a tourniquet, pressure dressing, and elastic bandage. It has been used by various RTG personal around the world. When the active ingredients in CELOX come into contact with blood, they quickly swell, gel, and stop bleeding. CELOX's powerful clotting ingredients work independently of the body's normal clotting processes, and they only gel with the blood they come directly into contact with. 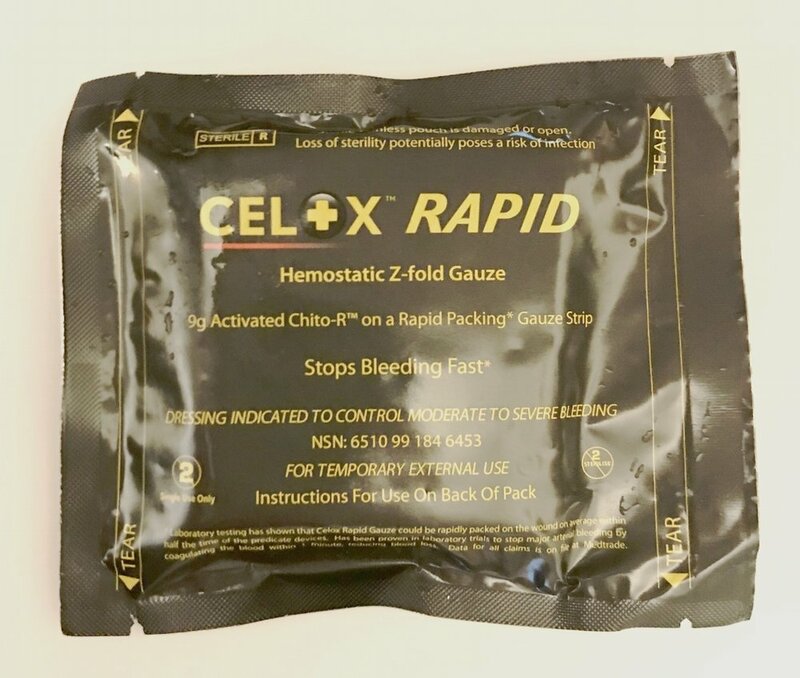 CELOX delivers potentially life-saving power as it stops bleeding, reduces blood loss, and in the event of severe bleeding, helps prevent shock.